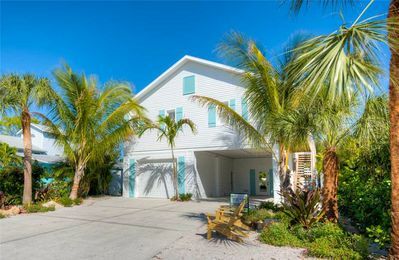 “Sugar Plum Hide Away West” is a cute ground level duplex located in the spectacular city of Anna Maria. 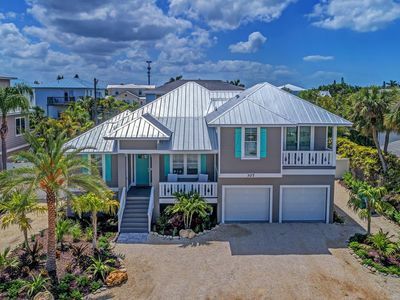 Just a short walk to the beach, you don’t even have to cross a street, to access the white sand and blue waters of pristine gulf beaches from this adorable Anna Maria vacation home. The outdoor shower is a luxurious feature to “Sugar Plum Hideaway West”, and a great way to rinse away the sand after a day at the beach. 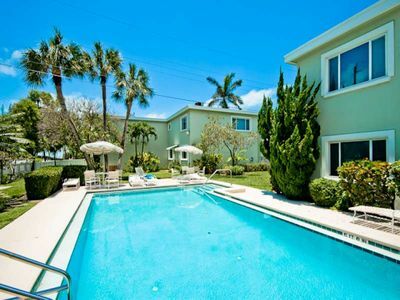 Enjoy poolside sunbathing in the backyard patio furniture next to the shared heated pool. 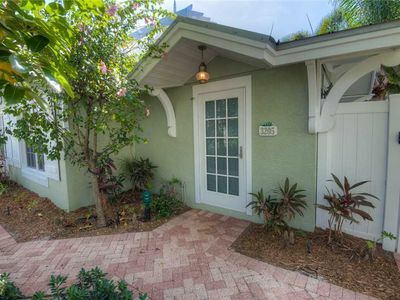 “Sugar Plum Hideaway West” has a fenced in beautifully manicured backyard perfect for keeping your pet, up to 25 pounds, safe and happy. 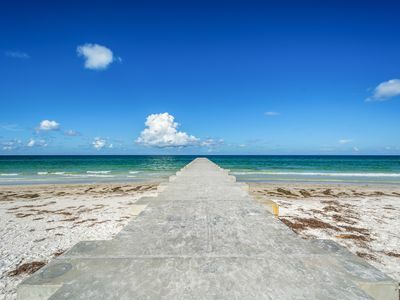 This home is in an amazing location as it is in walking distance of not only the beach, but also to a north bound free trolley stop, restaurants and shopping. Located just a few blocks away is Sign of The Mermaid, a popular restaurant open breakfast, lunch and dinner notorious for its amazing food and dining experience. If you choose to stay in for dinner the large dining room table accommodates all guests. 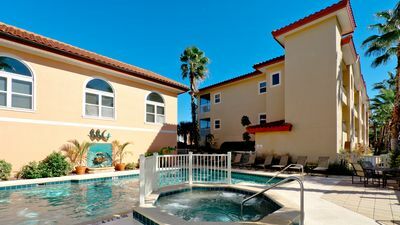 Enjoy the backyard grill, and stainless steel kitchen appliances including a large sink and dish washer. The kitchen island counter provides space for preparing meals, or the perfect place to lay out hor d'oeuvres. 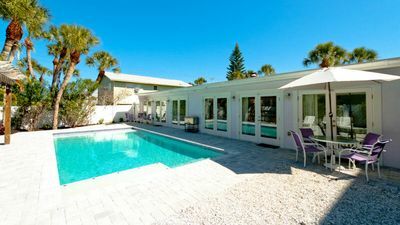 This vacation rental home has great amenities including our premium linen service, a driveway out front for parking, wireless internet, flat screen televisions and a washer and dryer unit. 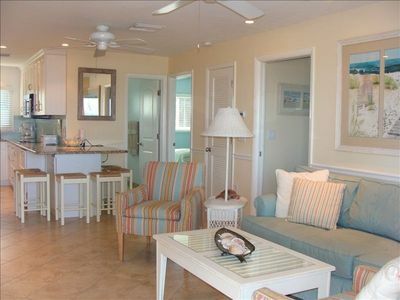 This beautifully decorated home is waiting for you. Make your reservation today! The East unit is also available with an inside connecting door that opens to both units. 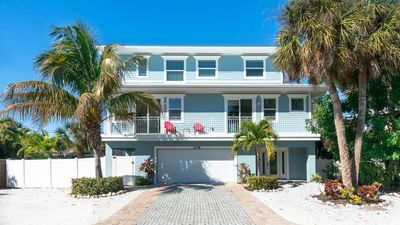 -There is an additional pet fee charged (per pet plus tax) if you are bringing a pet, excluded from online pricing..
Areca Cove On Beautiful Anna Maria Island! 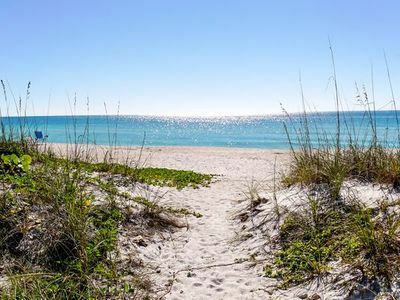 Just 3 Min Walk To The Beach!